Happy Friday!! Join us to share your Friday Favorites. Andrea, Narci, and I do it every week and we'd love for you to join us! This was our first full week of summer and we have soaked up every single minute!! We've had a BIG first week. This was our last selfie in front of our house as the homeowners. After much prayer, we decided to sell our home. We are supposed to move later this month. I know anything can happen until we officially close on the new one. So we're praying for it all to go smoothly. If not, God has a plan AND apartment living might be involved. :) Doing life and making big adult decisions can be scary at times, but doing it with my FAVORITE guy makes it all more fun! All three kiddos have had swim lessons with their FAVORITE swim instructor, Mrs. Sally! There was a little fussing on Bowen's part, but I was super impressed with him! He's doing great! Reapplying sunscreen at the pool is not my FAVORITE! The Slaughters (all five of us) have super light skin and we burn! If we're at the pool for three hours, then I need to apply sunscreen a LOT during that time. The first application is always no big deal, but getting kids to dry off to apply sunscreen is no one's favorite moment. :( By application number three yesterday, I agreed they could swim with white faces! He is super competitive and works so hard when he puts his mind to something. He is determined to never lose a race around the track to his sister or brother. His determination is my FAVORITE! My new FAVORITE perfume! Bond No. 9 The Hamptons...I found the best deal on Amazon. A couple Saturdays ago we went to the gym and then out to lunch. I was a sweaty mess from the gym. I saw a sweet friend and went over to say hi. She hugged me and my sweaty self and until I showered I smelled divine. I immediately asked her what perfume she was wearing. If you're in need of a light summery scent...this is what you need. The kiddos and I ran errands yesterday before their last swim lesson. We had a couple things to do at the mall, so in between errands we hit up the play area. Bowen ran over to this spot and asked to have his picture taken with the cowboy. Oh my! Everything about this picture is a FAVORITE....Ebby Lee trying to be silly, Nixon trying to cover up the cowboy with his body just because, and Bowen smiling so big. Getting to watch them on the last day of swim lessons is my FAVORITE! The big kids were supposed to be doing "pencils" into the water to grab diving sticks off the bottom. Check this kid out! He came a long way in only four days. He started out Monday just blowing bubbles in the water and by yesterday he was "jumping" off the board. One of my FAVORITE things arrived in the mail yesterday....a new ERIN CONDREN PLANNER!! Last year was my first year to get one and I don't know how I lived without it all my life. I LOVE my planner! 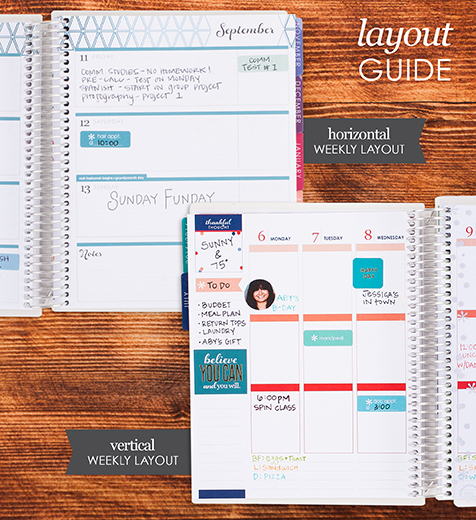 Typically the lifeplanners have the weekly layout in a vertical format. I'm shaking it up this year and trying the horizontal format. I can't wait to get started!! Seriously for the longest time I didn't keep up with a planner, but I'd forget things ALL THE TIME! I finally bit the bullet and purchased an Erin Condren planner and I've never looked back. Trust me. You'll love it! Sending lots of prayers your way for the new house. I can't wait to see it. Ahh those Erin Condren planners!! Love love love. 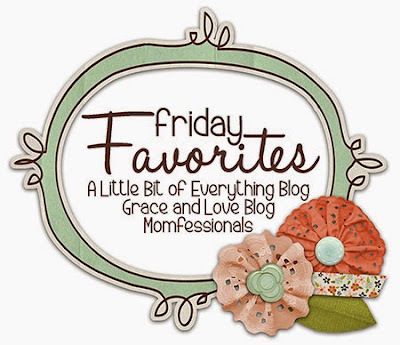 Have a great weekend Erika! I'm so excited for your sweet family! I know God has BIG plans for this move. I love how faithful you and Tab are to God's calling and direction. And PS: such cute pics of those three kiddos ;). Yay for a new fresh planner to start filling up! And congrats on your new home! What month does this planner start with? I'm a teacher and would really like one that is August through July. Good luck with your move!! This one goes from July to the following December-so 18 months. I am sooooooooooo impressed with Bowen!!!! I mean, seriously....Monday he was nervous about blowing bubbles. He must be so proud!!!!! Hahaha!!! I prefer to spray because it's easier but my kids always get sunburned if that's all I use. What's your email address?? I'd love that!! Congrats on the new home! Big decisions are super scary! I'm thankful for a God who walks beside us every step of the way! Congratulations on your new home!! How exciting :) Looks like summer is off to a good start for the Slaughter family! Good luck & Congrats with the new home and upcoming move! I love my EC planner, but will have to definitely try the horizontal view next time. I didn't see that option when I last ordered. :( Also, love the pens! can u tell us more about the move.. what inspired it? are u staying in your town? bigger home? smaller? how long have u lived in your current home.. I love all 5)things house! I love my Erin Condren! I don't know what I did without it! I love a good summer fragrance! I have the rollerball of Replica Beach Walk. It has a very clean/beach smell to it. I also love the rollerball for travel. I will check the Hamptons scent out!! I have been seeing Bond No.9 all over youtube recently. God bless you & your family with your move!! LOL about the sunscreen. I feel the same way. My daughter has very light skin and burns easily, so that happens to us a lot in the summer :) Congrats on the new home. Moving is so exciting and a little stressful all at the same time, but it's wonderful to have someone to do it with. I'm all about scents/fragrances but WOW the price on that perfume is outrageous!!! Hi Erika! Do you know if those planners ever go on sale? I don't remember the last time I actually bought perfume so it was a total splurge. I'll have to check that one out! I'd never heard of it before but fell in love with that scent. So they make a "wet skin" sunscreen you could get! I think it's by Neutrogena?? I buy lots of it since we spend so much time at the beach and the pool..and just outside in general. What wonderful favorites and what a precious family. Hoping all goes smoothly for you and the move. I've heard so much about the planner, going to have to check it out as I carry a planner all the time. Blessings for the week ahead! Hey Erika! Im going to order one of these planners and I can't decide on the vertical or horizontal format. Do you like the horizontal or would you recommend the vertical? Thanks!